Check out the 2015 world premiere of Peng Peng’s Symphony No. 5! Peng-Peng Gong appeared most recently on Show 138, recorded in March 2006, at age 13. 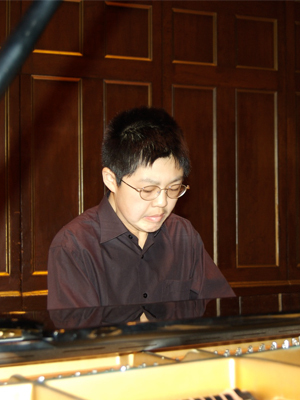 Peng-Peng Gong (piano) is a 13 year-old eighth grader from New York City. Peng-Peng attends The Professional Children’s School and is in the music program at The Juilliard School of Music. Peng-Peng has been playing the piano for eight years, loves to compose orchestra music, enjoys writing and sports in his free time. In addition to receiving the Jack Kent Cooke Young Artist Award alongside his From the Top appearance, Peng-Peng also received the Cooke Foundation’s Young Scholars Award in the same year! Peng-Peng is a Jack Kent Cooke Young Artist.